Seraya is an experienced and professional vocalist and has performed and recorded in Australia, UK, US, India (Bollywood) and Asia, covering most styles from Pop, Rock, and EDM through to Jazz and Country and everything in between. Seraya connects to the material, offers an engaging and captivating performance, is easy to work with, and provides a quick turn around. Bring your demos to life or add dynamic backing vocals to your recording project. Live vocals are available across Brisbane and the Gold Coast. Remote high quality recordings are available worldwide. 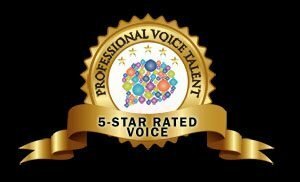 Seraya is a professional and experienced voice over artists. As a trained actress and licensed radio broadcaster, you can rely on Seraya to deliver a dynamic and convincing performance for your voice over project. Seraya’s repertoire includes retail, corporate, character work, presenting, interviews, e-books, message bank, Apps and more. Enquire now. To hire Seraya to write a song for your special occasion, business or online project, please use the contact form.